How can I purchase Mall Silks products? 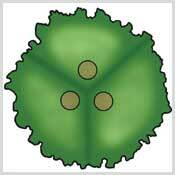 We publish a catalog and price list showcasing our diverse line of silk plants and trees. If you would like to purchase our products contact us or request a catalog and we will connect you with one of our professional designers. Wholesale and custom products can not be purchased online. Who Are Mall Silks customers? Mall Silks is a wholesale supplier and installer of its products to trade and commercial industries such as architects, interior designers, interior plantscaping companies, florists, exhibit companies, casinos, hotels, theme parks, museums, and shopping malls. We have also manufactured and/or installed our products for libraries, cruise ships, hospitals, general contractors and many government contracts. Please contact us to discuss your next project. 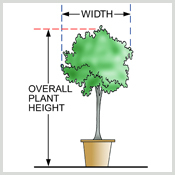 Overall tree or plant height is measured from the base of the grow pot or cement base to the top of the plant. 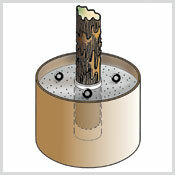 Width or spread of the tree crown is usually one-half the height. Mall Silk plants are potted in nursery pots (grow pots) so that they fit standard decorative containers. They can be elevated as live plants are, if needed. Mall Silks plants and trees can be planted in beds and spaced as live plants are. 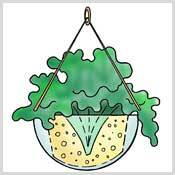 Artificial plant is embedded into solid foam which in turn can be installed into a decorative basket or container. 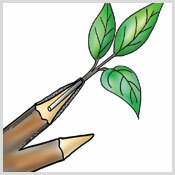 Real wood branch is whittled to taper the end where the artificial branch is inserted. Clay is applied and shaped to create a smooth transition. 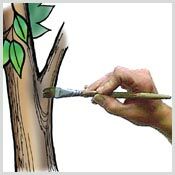 Branch transitions along with imperfections and cuts are hand painted to match the exact coloration of the trunk. 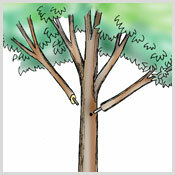 Additional branches are added in by our expert craftsmen, to achieve greater fullness and symmetry. 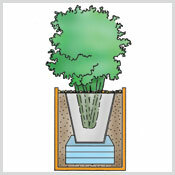 Heavyweight concrete tree base has PVC tube which accepts the trunk and prevents rotting of the natural tree trunk. 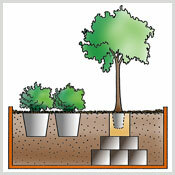 In our larger trees, properly placed multiple trunks are used to form a full round canopy. 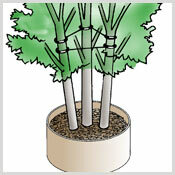 Two, three or four trunks are supported by one secure base with a separate PVC sleeve for each trunk. Lifting eyes are embedded into the concrete for ease of lifting and setting in place. 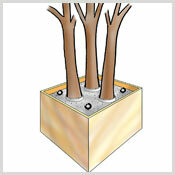 Cable system (supplied with multiple trunk trees) maintains tree integrity and eliminates spreading from wood drying. The cables are hidden above the foliage line out of sight. 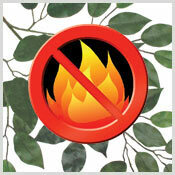 Many of our products are available with fire retardant foliage. Click here for additional fire retardant information. 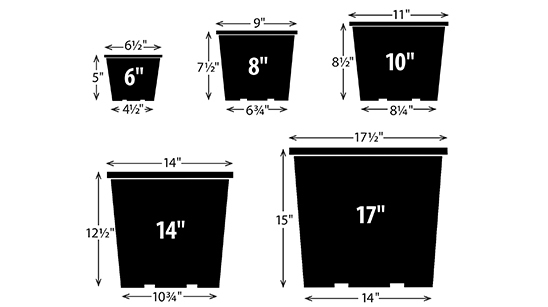 Grow pot sizes to help in choosing decorative containers for your plants or trees.